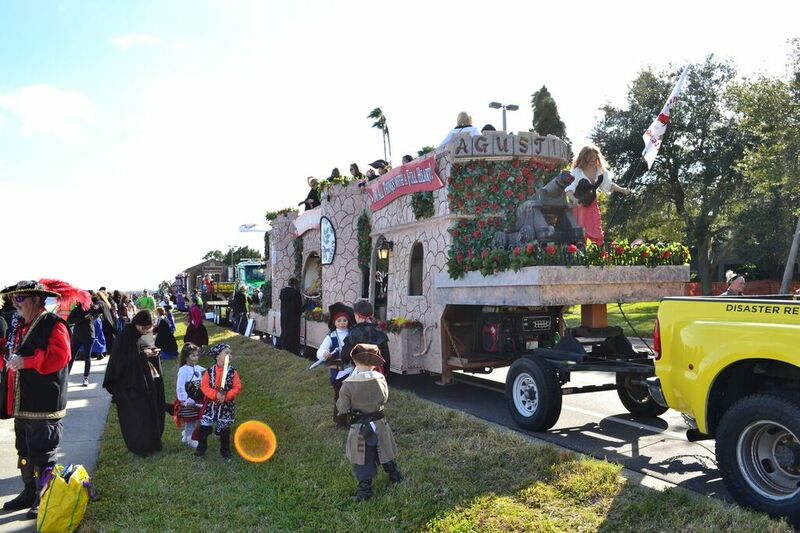 The Krewe of Agustina de Aragon is a women’s group in the Tampa, FL area that volunteers for charitable events in the special interests of women and children. Every year they are part of the Gasparilla Day Parade and ServiceMaster 24 Hour volunteers to help with the parade by pulling the floats for the Krewe of Agustina de Aragon with their trucks. The Gasparilla Day Parade was part of the Gasparilla Pirate Fest and took place on January 29 and 30, 2016. With the help of ServiceMaster 24 Hour, the parade was a success and the Krewe of Agustina de Aragon has expressed their gratefulness for all the help that ServiceMaster 24 Hour has given them during parade season for the past ten years. The Gasparilla Day Parade is a big community event and both ServiceMaster 24 Hour and the Krewe of Agustina de Aragon are especially dedicated to serving the local community in the Tampa Bay area. By pulling the floats with their trucks, ServiceMaster 24 Hour helps ensure that the parade is carried out safely and allows the Krewe of Agustina de Aragon the freedom to interact with the community as ServiceMaster 24 Hour handles the parade. ServiceMaster 24 Hour provides reliable disaster restoration and cleaning services to help the homes and businesses of the Tampa, FL area and they are also happy to participate in community activities such as the Gasparilla Day Parade. 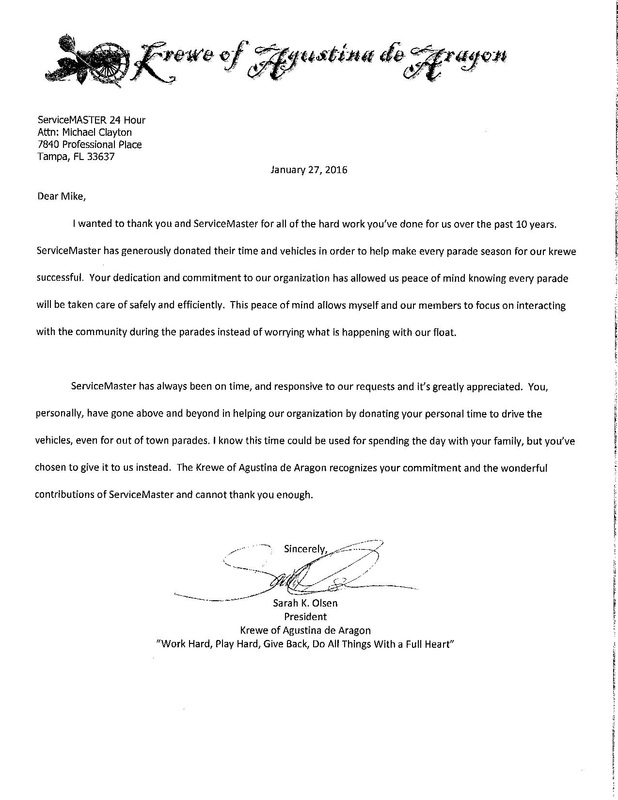 You can read the gracious letter from the Krewe of Agustina de Aragon to ServiceMaster 24 Hour below.